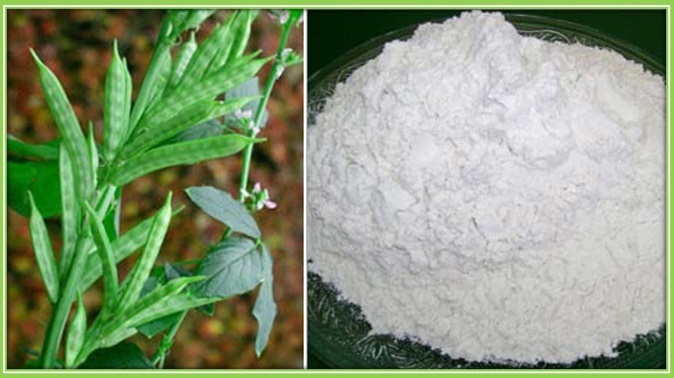 Guar Gum Powder also known as Guaran is widely used in different industries and is also used in the manufacturing of mosquito coils as well as incense sticks. It has more viscosity, more strength & binding power that gives a smooth finishing to the coils. Guar Gum powder acts as a binding agent in the manufacturing of mosquito coils. It is a polysaccharide made up of sugar galactose and mannose that comes from the endosperm of the seed of legume plant Cyamopsis tetragonolobus. Why Guar Gum Powder is used in Mosquito Coil Application? The mosquito coils with high density dry slowly and also warp during drying. As the load bearing capacity of the coil is low, thus the breakage occurs during the handling of the coils. So in order to provide adequate strength against breakage, guar gum powder is been used as a binder in mosquito coils helps to get the desired tensile strength with good burning quality. Thus, guar gum powder helps to produce a better composite product. Composite is been formed with a combination of two or more materials that includes reinforcement, filler, binder etc. These constituents do not dissolve or merge into each other although act in concert and exhibit an interface between each other. Mosquito coil taken as a composite is in the form of a spiral consists of sawdust & coconut shell powder as main filler extruded with binders to form sheets and coils are been punched out. It is also important to have a tensile strength of the coil in order to get unbreakability of coils during handling and so is the guar gum powder been used as binding agent. Guar Gum Powder can bond to water molecules that influence the gum’s viscosity and hydration rate. It gives a better heat transfer, easier pumping, and more accurate filling during the process of manufacturing. At a low temperature in water, it provides a high viscous solution. The galactose of the guar gum interacts with water molecules that lead to intermolecular chain entanglement in an aqueous solution that causes the viscosity of the solution. The increase in the concentration of the guar gum enhances intermolecular chain interaction that results in increased viscosity. At high temperature, it gives better heat transfer that leads to proper compaction of coil resulting in better coil performance.